"Doesn't anyone want the rock in crunch time?" 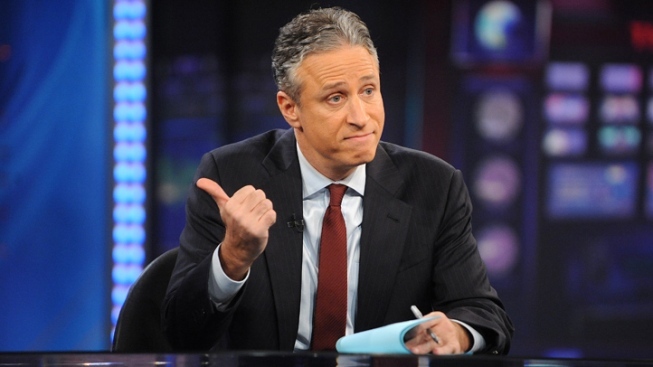 Jon Stewart wonders why nobody wants to run with Romney. On Monday's edition of "The Daily Show," Jon Stewart mocked many Republican politicians' resistance to running on a presidential ticket with Mitt Romney, the presumptive GOP nominee. "Nobody" wants their name on the "bumper sticker that will soon be plastered on America's gun racks over a fading McCain-Palin bumper sticker," Stewart quipped. The late-night host presented a montage of high-profile GOP politicians categorically denying interest in being the 2012 GOP VP nominee, from Nikki Haley ("I'd say thank you, but no"), to Tim Pawlenty ("The answer is, I'm not gonna be considering that and I've taken myself off the list"), to Condoleeza Rice ("How many ways can I say it: not me!"). Stewart recognized that modesty and deflection are part of the political game. "Denying interest in being Vice President is pro forma in politics," he said. But the late-night host was nonetheless struck by the tone of the above statements. Concerning Pawlenty's line about being removed from "the list," Stewart joked: "That's what you tell a telemarketer that calls during dinner." According to Stewart, there isn't better evidence of the thanks-but-no-thanks sentiment among GOP pols than the game of hot potato involving Marco Rubio, Rob Portman, and Jeb Bush—all of whom have brushed aside reports that they're on the Veep shortlist and have, instead, pointed fingers at each other. "Doesn't anyone want the rock in crunch time?" Stewart asked.